Thailand | Will he or won’t he? Thai PM will announce his intentions soon. Will he or won’t he? Thai PM will announce his intentions soon. 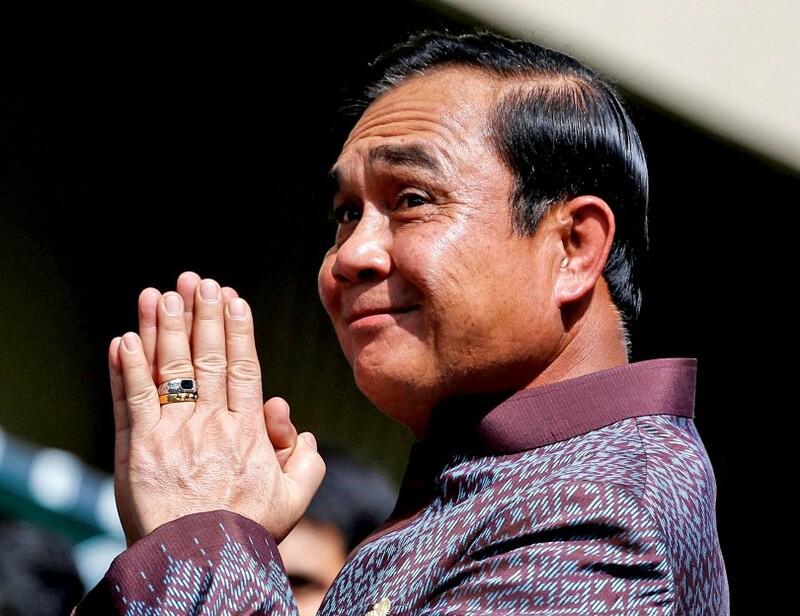 The election looms but, at this stage, there is no confirmed date and the elephant in the room – will General Prayut turn politician and run for a seat in the new Government – is yet to be addressed. Pressed yesterday he repeated his past ambiguous remarks. The PM yesterday reiterated his promise to clarify his political future next month, saying that he first has to decide if he will stay in politics before he announces which party he will choose to join. The junta leader said he would decide which political party he would join only after deciding whether to remain in politics. He also said that political restrictions would be eased by that time. During his trip to the UK in June Prayut said that he would disclose his decision about his political future in September. Amid political issues, the NCPO plans to “do political unlocking” by authorising the Election Commission (EC) to start preparing for the next election and keep up with a poll timeline that has been repeatedly delayed. Prayut said that while the NCPO meeting yesterday did not touch on the election, more clarity should be seen once the MPs election bill and the Senate selection bill are published in the Royal Gazette. “You will see more political clarity in September. There’s no need to ask me about it now,” he said. Prayut said the legal process “should head to election” once the MP election bill draft, one of four organic laws that must be passed before holding an election, is published. The election bill, even if published, still needs to wait for another 90 days to come into effect as stipulated by the junta-appointed legislators. Meanwhile, the junta leader was upset yesterday over a joke video clip that dubbed over his first single “Return Happiness to Thailand” as a song full of lies. Government spokesman Lt-General Sansern Kaewkamnerd said yesterday that Prayut had expressed concern that some individuals with ill intentions had made such a video to attack the government by accusing it of failing to keep its promises. “General Prayut assures he is not delaying the election. Everything follows the road map. We all know that soon the organic laws will be promulgated,” Sansern said. The spokesman went on to say that the PM flagged the video clip for dragging a little kid into politics and making him a political tool. “General Prayut said that this is not nice at all,” he said. “They are just kids. They deserve to be raised right and taught things good for them.